Well, yelloowww! I mean, hello ((too much?)). I thought I'd show you some eye candy in the form of yellow items to brighten up your Monday. How 'bout it? "The Uno" Rosette Headband in Mustard from Oh, Sweet Joy! these yellows are great! what an awesome spring/summer color! Oh gorgeousness! Now I know what my next Oh Sweet Joy hair purchase will be!!!!!!! The scarf is beautiful..would be a lovely burst of color! Yellow is just SO cheerful! LOVE LOVE LOVE it! Great post girl! I am so hoping those headbands come in today! If not, I will get with you and just get them again! No problem! yellow makes me happy. love love love. 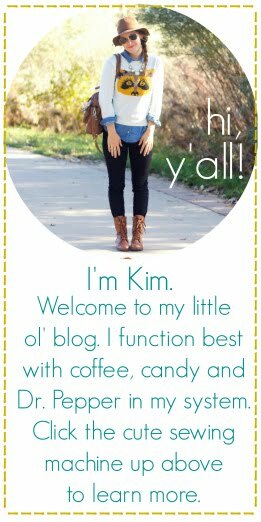 This is the perfect blog to start my Monday! SO pretty! And I just might have to find my way into Anthropologie this week to find that dress. Happy Monday friend! yellow makes me happy! I should knit more with yellow! Such cute stuff! 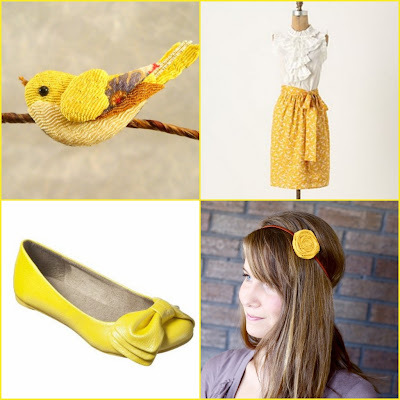 Great yellow picks :) The dress is my fave for sure! Happy Monday! All this yellow was just what I needed-it's a rainy Monday in SF! Hope you had a wonderful Easter! Loooove the yellow Gussy tote. I want one of her bags SO DARN BADLY! 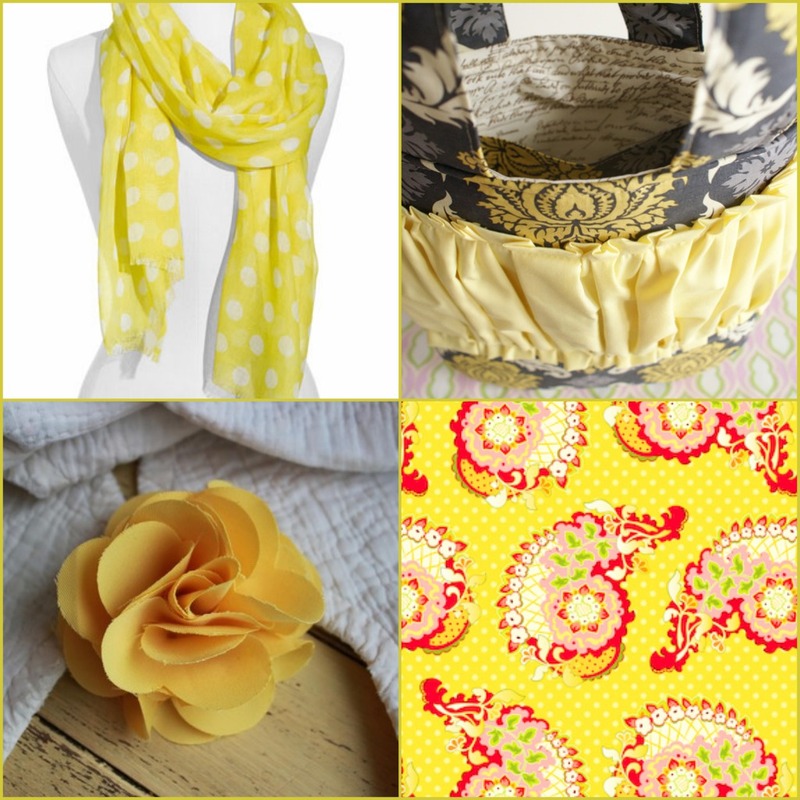 So cheery and fun- I love yellow! !